Discover adventure, delicious cuisine, some of the world’s rarest wildlife and history of America’s founding during a 3-day weekend in Halifax. The Halifax County Visitors Center, on Interstate 95 in North Carolina, offers a chance to stretch your legs, let your dogs off the leash at the center's dog run, and peruse racks of colorful brochures. The pamphlets describe destinations that represent what’s great about the state – cuisine, history, adventure and nature. But you don’t have to travel from the mountains to the coast to sample them. There’s a taste of each right here in Halifax. Interstate 95 runs through Roanoke Rapids, where an elevation change between the Piedmont and Coastal Plain regions once stopped Roanoke River-bound settlers. They built a prosperous community that also is a footnote in North Carolina’s film industry. Union activities at one of its former textile mills were the basis of Norma Rae, which starred Sally Field in her first Oscar-winning performance. 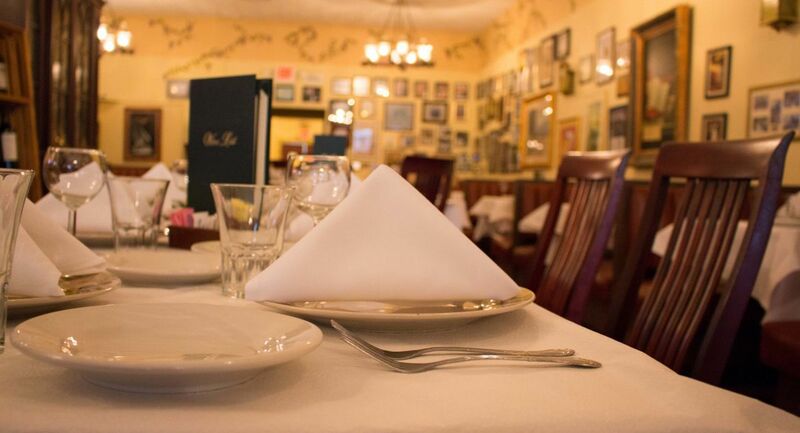 You’ll still find craftsmanship at David’s Restaurant, the downtown institution where friendly servers and talented kitchen staff turn first-timers into regulars. Its menu mixes staples, such as beef and pasta, and specialties. The Shore Dinner features the state’s best seafood catches – flounder, shrimp and oysters – prepared how you want. Reserve a room at Hilton Garden Inn. It’s convenient to the interstate and N.C. Highway 125, so you’ll be at the center of the weekend’s activities. It has a pool and 24-hour fitness center, where you can sweat away that piece of David’s well-loved chocolate chess pie. Breakfast is waiting downstairs. If you don’t find what you’re craving on Great American Grill’s buffet, have one of its specialties, including omelets, made to order. It’s a quick drive to Weldon, where Riverside Mill offers shopping for antiques, clothes and handmade jewelry. It also loans bicycles and helmets. Grab one of each and set out on the shaded and level Roanoke Canal Trail. Plan on about an hour’s worth of easy pedaling and interesting stops, including a stone aqueduct, to reach Roanoke Canal Museum. There you’ll learn how the waterway and its locks took westward expansion to the Blue Ridge Mountains in the early 1800s and later generated power for local industries. Follow U.S. Highway 301 South to Historic Halifax, where colonists first called for independence from Great Britain by signing the Halifax Resolves on April 12, 1776. It’s celebrated locally with colonial-era activities and re-enactors every year. A 15-minute video and 2,000 square feet of exhibits at the Visitors Center set the scene at the state historic site. 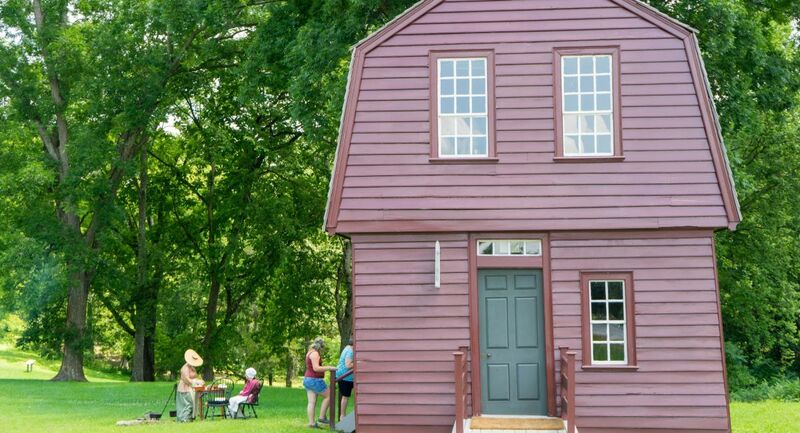 Follow the self-guided tour to period-furnished homes and Eagle Tavern, which hosted French general and American Revolutionary War hero Marquis de Lafayette in 1825. Dinner waits two blocks away at The Hen & The Hog. This Halifax hotspot is putting its spin on the farm-to-table movement, assembling a statewide culinary tour with its dishes. The pot pies, for example, are filled with Asheville bison, and the fried tofu appetizer is seasoned with Outer Banks sea salt and adorned with a curried reduction of Cheerwine, the cherry-flavored soda created in Salisbury a century ago. 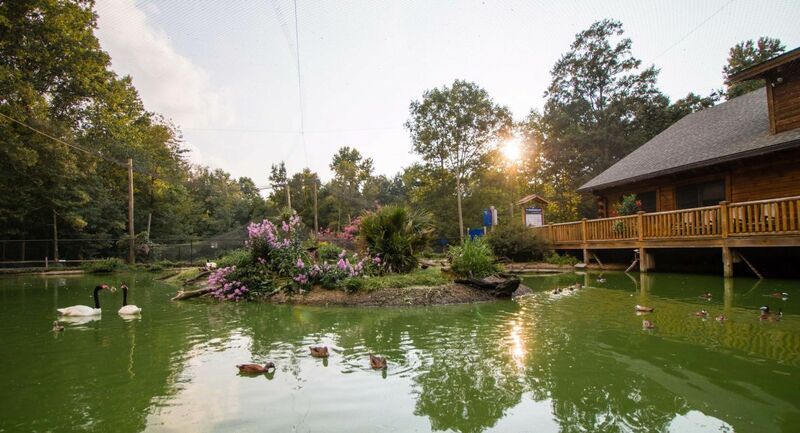 Choose something light or go for the big home-style breakfast at Cracker Barrel, one exit north of the hotel on Interstate 95, before your 30-minute drive to Sylvan Heights Bird Park. Roll down the window and enjoy the mild weather, which sweetens the air with the scent of pine and adds hues of green to the passing fields, where farmers grow the most cotton in the state. Sylvan Heights is outside Scotland Neck, the only place in the state where you park in the middle of Main Street. Its 2,000 birds, including some of the planet’s rarest, make it North America’s largest bird park. Paths take you through recreations of each species’ native habitat, which frames the birds’ bright plumage for pretty pictures. You’ll snap plenty of close-ups at the Landing Zone, where holding a feeding stick brings small friendly birds to your hand. Family-owned Ralph’s Barbecue opens early for Sunday dinner, so its pulled pork and slaw are ready when you arrive in Weldon. The founder’s granddaughter and great-grandson prepare both from the original 70-year-old recipes. Their Southern sides, seafood and fried chicken are tasty, too. This trip idea was produced in partnership with Halifax County Convention and Visitors Bureau.